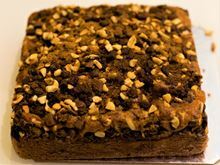 As the name suggests it’s a soft and moist yet firm with a generous topping of nuts. Spicy lime pickle, a cornerstone to make every meal special. Red rose arrangement in Red Velvet flavour.